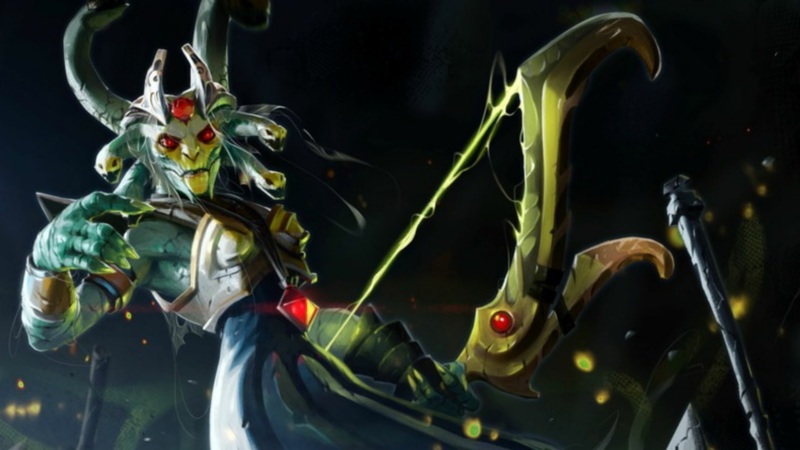 What are the best Dota 2 heroes for beginners? There are, at the time of writing, 115 heroes in Dota 2, all of them appealing and exciting in their own unique ways. But choosing the right one, or the right combination of them for your team, can often be the difference between winning and losing, or at the very least, between struggling and cruising. As a beginner, this can make Dota 2 incredibly challenging, especially considering the lack of guidance the game offers you. All of the heroes play a very specific role in battle. Some of them can be played in multiple roles, sometimes even within the same game. To do well at Dota 2 it is important to understand what these roles are and how they interact with each other. But it is equally as important to realise that a hero’s role should inform how you play them and the items you purchase. If you’re finding these basics a touch confusing, don’t worry: so did we when we started playing. But now we’ve learned the strategies behind a great team, we can provide you with advice to help you choose the right character, and understand their position in the five-player team. If this is your first time playing, then it’s worth reading our how to play Dota 2 guide, which explains all the basics that you’ll need to know before choosing a hero. When you know the core ideas, it’s time to figure out what role you want to play. The damage-dealing nucleus of a team, the carry is often viewed as the most important and generally difficult role to play. The role of the support is to aid and protect the carry in the early game, as well as to ensure that the team has enough vision over the map to safely move around without fear of getting ganked. The early game is all about farming for gold and there’s hordes of it to be prised from the cold, dead hands of the various creeps scattered about the jungle, which makes up most of the space in-between the lanes. Because these creeps respawn at regular intervals and because there is limited farming to be had in the lanes, a team will sometimes pick a jungler who can exclusively farm the jungle creeps. Each team should have at least one lane which is occupied by a lone hero. If a team has a jungler then they will most likely have two heroes going solo. Because of this, it is difficult to talk about it as one single role so it has been divided up into two sub-roles. Solo Mid heroes occupy the middle lane. Because the space between the opposing mid towers is fairly short, these heroes don’t need to worry too much about escaping any ganks and will often focus on farming creeps and trading blows. Solo Off-Lane heroes tend to be the most difficult and frustrating heroes to play. Off-laners usually have a lot of speed and their early-game abilities tend to be escape mechanics such as fast sprints, invulnerability, or the ability to teleport over short distances. Every time your hero levels up, you will be allowed to select an ability or a ‘hero talent’ to level up as well. Knowing what these abilities do and which ones are most useful can be the key to having a good early game. There are three attributes in Dota 2: strength, agility, and intelligence. Each of these govern certain aspects of your hero, such as HP (strength), mana (intelligence), and attack speed (agility). However, a hero’s damage output is determined by their ‘primary attribute’ which differs from hero to hero. If given the choice, this is the attribute you should focus on boosting. This is normally achieved by purchasing items, but which items should you buy? Which abilities should you choose? It is often easy to start out by picking a support hero and, indeed, if it is your first game, we heartily recommend you try a support out first. The reason for this is that it can be difficult to acquire gold in Dota 2 and supports do not rely on lots of gold to be useful. You can also get a feel for the game whilst assisting other, perhaps more experienced players. It is inadvisable to try jungling until you are more experienced at the game. Jungling can be very difficult as there are no friendly creeps or towers to protect you and you will often find yourself being stalked and killed by stealthy enemy heroes. For this reason, we have suggested only one jungler as being suitable for beginners. Launches a ball of shrapnel that showers the targeted area in pellets. Enemies caught within it take damage and are slowed. Use shrapnel to farm creeps or to discourage enemies from walking into an area. This ability is often taken first since it’s useful when you can’t get close enough with your main attack. This is a passive ability which gives you a 40% chance to momentarily stun an enemy. Obviously, the faster you attack, the more useful this ability becomes. Extends the attack range of Sniper’s rifle. The more levels you take in this passive ability the longer the range of Sniper’s main attack will become. At level 2 it will allow you to out-range enemy towers. Sniper locks onto a target enemy unit and, after 2 seconds, fires a devastating shot. This ability has a low cooldown and a huge cast range. Use it to finish off fleeing enemies or to lend aid in a fight when you are too far away to engage with your main attack. 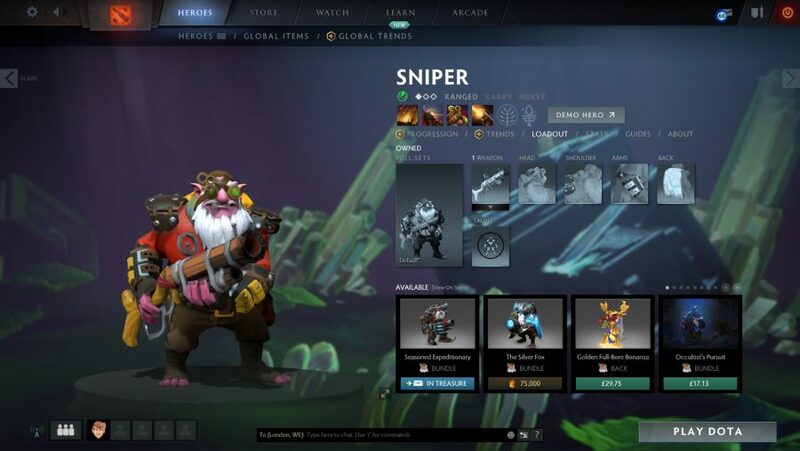 Sniper can be played as a solo or as a core. You can start off by taking Shrapnel to help you farm or, if you’re feeling brave, by getting a level in Headshot. Ultimately, you want to become a glass cannon, so focus on building up your ‘attack speed’ and ‘damage’. Sniper is also killed quite easily, so building items that will help you escape can be quite sensible. Take Assassinate as soon as you can and then use it to finish off fleeing foes. Activate Power Treads and switch them to green in order to gain a boost to your agility. Activating Shadow Blade will enable you to become invisible. This is great for escaping a fight or sneaking up on an enemy. It also increases your attack damage and attack speed. This will increase your attack range even further, allowing you to stand far away from any danger while eroding your enemies’ health. This item is great for pushing lanes as it gives your attacks a chance to create a chain of lightning which bounces to other nearby enemies.It also upgrades your attack damage and attack speed. This will upgrade your Assassinate ability, allowing you to cast it on multiple heroes, causing critical damage. At this point you become extremely lethal. Use this ability to initiate a fight by stunning the most dangerous enemy. It can also be used to help you run away should you start losing a fight. Cleave makes your attacks have a knock-on effect on other enemies. This is great for pushing lanes or farming the jungle as well as damaging the whole team during large fights. 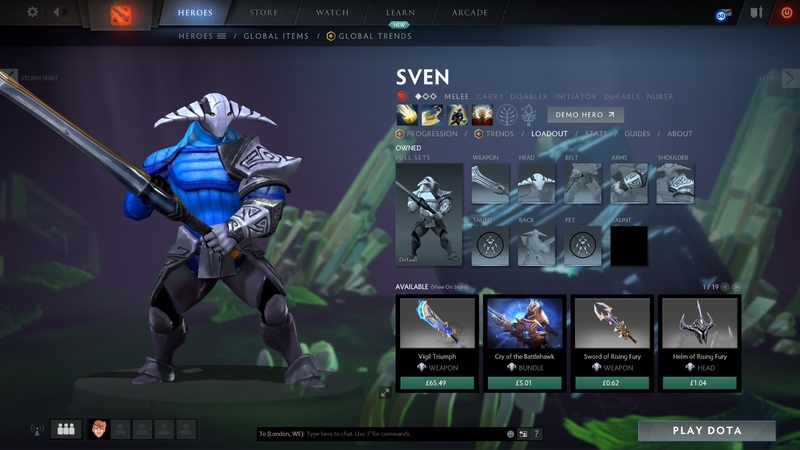 Sven’s Warcry heartens his allies for battle, increasing their movement speed and armor. By activating this before every fight, you ensure that both yourself and your team have a huge defensive advantage for the first eight seconds. When fully levelled up, this ability adds a temporary 200% extra to your damage output. This means you can easily kill an enemy in two to three hits. Sven can do a lot of damage, and he can hold his own in a fight. Focus on levelling up your Storm Hammer and Warcry during the early game so that you can easily fend off any players who try to disrupt your farming. Once you’ve got a few items it’s time to start bullying the weaker enemy heroes. Throw your Storm Hammer at them and then activate God’s Strength to rip them to shreds. Rinse and repeat. Activate Power Treads and switch them to red in order to gain a boost to your strength. Not only does BKB boost your strength and attack damage, but activating it will make you invulnerable to many magical attacks and disables. This item is usually purchased first. This item gives you 15% lifesteal, allowing you to gain health by dealing damage. This will enable you to stay in lane and farm without having to retreat. It can also be activated to increase attack speed. When activated, Blink Dagger allows you to teleport over a short distance. This allows you to surprise enemies by following it up with your Storm Hammer. Massive strength boost, massive health boost, massive damage boost. Buying this effectively turns your God’s Strength into a ‘win game’ button. Intensifies Viper’s venom, adding an effect to his normal attack that slows attack and movement speed while dealing damage over time. Very useful for chasing down enemies; right-click the ability icon to have it auto-cast. Nethertoxin causes Viper’s normal attack to deal bonus damage to units based on how much health they are missing. The bonus damage doubles for each 20% of health missing from the target. Translation: The bloodier the target, the deadlier the Viper. Viper exudes an infectious toxin that damages and slows any enemy that damages it in a 1400 radius. This passive ability makes it very risky for enemy heroes to chase you. It will often be the only thing keeping you alive during team fights. Viper slows the targeted enemy unit’s movement and attack speed while also dealing poison damage over time. Cast this on an enemy and then blast them down with Poison Attack to immediately remove them from any fight. Viper is one of the best gankers in the game. Both taking damage from and giving damage to him will slow an enemy, often leaving them with no choice but to stand and fight to the death… usually their death. He is, however, very reliant on farming because he needs certain items to be useful. He also drops off a little in the late game so if you pick him you should focus on pushing towers and winning as quickly as possible. Start off by taking alternating levels in Nether Toxin and Poison Attack. Take Viper Strike to level 6 and you’re ready to gank. Increasing your attack speed and turning you invisible, Shadow Blade is a must-have if you intend to focus on ganking. As well as increasing your attack speed and damage output, this will enable you to attack from further away, allowing you to more easily close the gap between yourself and the enemy. 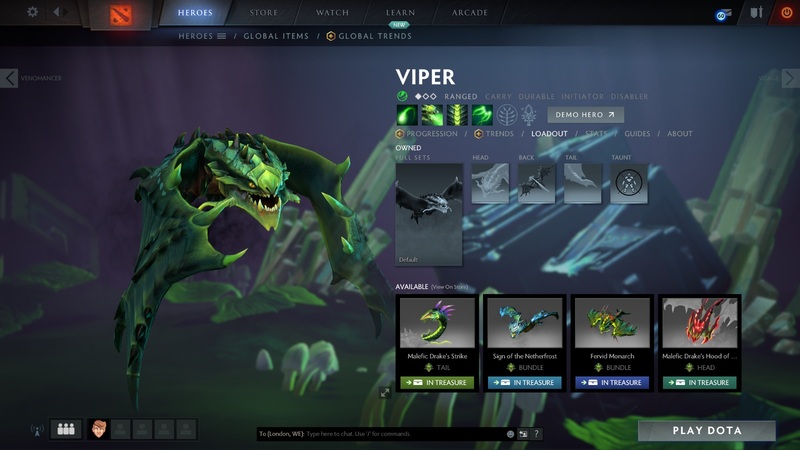 Manta provides a whole host of attribute increases and when cast will create two illusions of Viper. It’s great for pushing towers and blasting down enemies. MKB has a chance to mini-stun an enemy, making Viper even more of a nightmare to escape from. It also boosts your attack damage. Throws a dagger towards the enemy if they are in its cast range, dealing physical damage and slowing them down by 50%. This can be used to effectively finish off enemies with low health in team fights, and to intimidate enemy characters in your lane from pushing forward. Upgrading it early will definitely help, as the cast range increases significantly, as well as its attack damage percentage. Teleports you to an enemy or ally within a 1000 radius, granting you an attack speed bonus for four attacks. Phantom Strike can be effectively used to initiate team fights, as well as to easily track down fleeing enemies. It can also be used to flee from battle if there are any ally creeps within your radius. This ability eliminates the need for Blink Dagger or a teleportation item. Allows you to evade enemy attacks and keeps you hidden from enemies if you are far enough away from them. Blur is a passive ability that allows you to evade enemy attacks. Maxing it out definitely comes in handy later on as it gives you a 50% chance of evading enemy attacks. It also keeps you hidden from enemies if you are far enough from them. While Blur helps you detect any enemies within a 1600 radius, heroes who have spell immunity when entering the radius won’t be discovered. 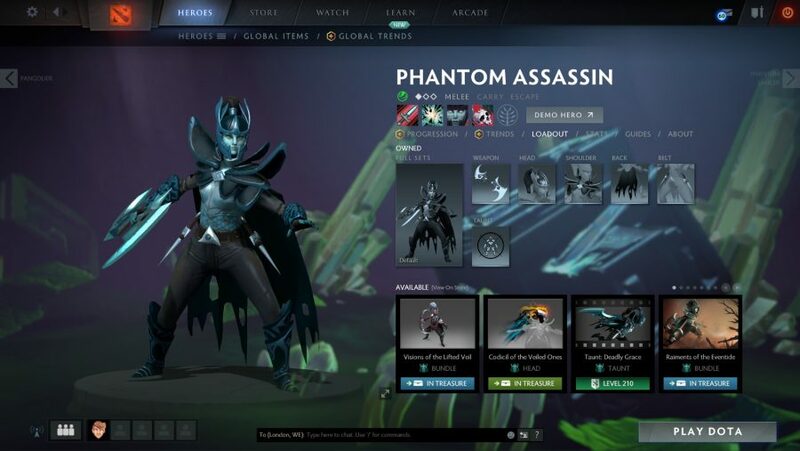 Increases Phantom Assassin’s chance to land critical strikes while massively increasing her critical damage too. Coup de Grace is a devastating passive ultimate as it increases your critical hit chance to 15% and critical damage by up to 450%. If you have the right build setup, you can inflict up to thousands of damage per hit. It also increases your normal attack damage by up to 52.5% when maxed out. Phantom Assassin can be quite a handful to deal with in the late stages of the game if built correctly. Her ability to evade attacks with Blur helps a lot during team fights, and her Phantom Strike can surprise enemies if you flank lanes. Make sure to upgrade Stifling Dagger as it will help you take down enemies early on with its damage, as well as slowing them down for a few seconds. Phantom Assassin’s abilities can create extremely satisfying moments when chained correctly. Since Phantom Assassin is an agility character, make sure to turn on Power Treads to grant a 1.43x buff for your armour, bonus attack speed, and a considerable boost in movement speed. Desolator’s ability to significantly reduce an opponent’s armour for 15 seconds increases your chances of landing some devastating blows with Coup de Grace. It can even be used to weaken enemies before your allies attack. Not only can it stun enemies for a split second, there is also a chance you could land 160 bonus damage when having this item equipped during your attack. This item is mainly used to ease the process of farming, as it helps you take out entire groups of creeps with a couple of attacks. This will grant you enough XP and coins to purchase the items you need to kill your opponents and carry your team to victory. The burst damage and stun from Fireblast is a great way to start a fight or to stop a threat in its tracks. Use it to help your carry win fights. This really slows down an enemy. Use it to stop them from escaping or to harass them during the early game. If you have enough mana, you should be casting this whenever possible. The attack and movement speed boost it gives will make your team mates un-escapable. Enables Ogre Magi to cast spells multiple times with each use. Fully levelled up, Multicast gives you a chance to cast each of your abilities four times. This means that, if you’re lucky, you can kill an enemy with one Fireblast. This can only be gained by purchasing an Aghanim’s Scepter. It works like a standard Fireblast but costs 60% of all your remaining mana, so use it last. Ogre Magi is a very tough support who has both powerful abilities and the capacity to trade blows with enemy heroes. Help the carry to farm in the early game by using your abilities to fend off enemy heroes. When it’s time to start fighting, initiate with your Fireblast before casting Bloodlust on an ally. Then simply bash the enemy to death. You can use Ignite to to slow down any fleeing foes, as well as using it to simply aid in the fight. Level up Multicast whenever you can to make your other abilities more powerful. Activate the Arcane Boots to gain a mana boost for your allies and yourself. You’ll need these because your spells cost a lot of mana. Use Mekansm (pronounced mechanism) any time you start to lose a team fight. It will boost the HP of all allies in range. As well as a huge attribute boost, this item will give you a whole new ability in the form of Unrefined Fireblast. 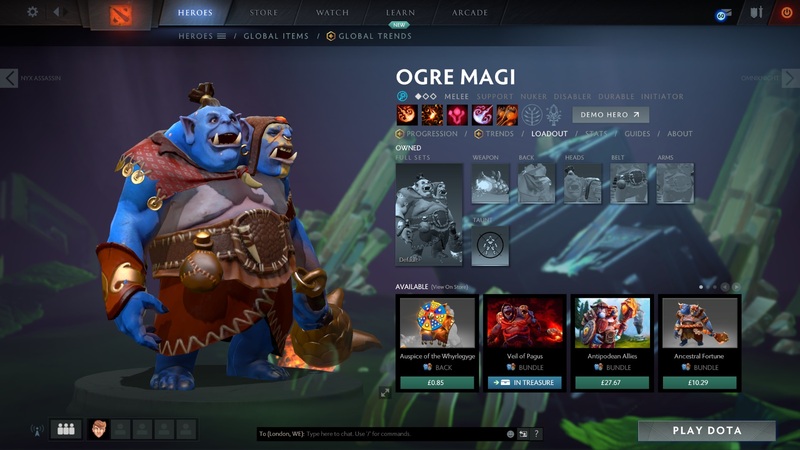 This is considered a key item on Ogre Magi because you now have two stuns which deal huge damage. Force Staff boosts your intelligence and health regeneration. But when you use it you can push an ally, enemy, or yourself in the direction they are currently facing. Use it to help catch a fleeing enemy or aid the escape of a fleeing ally. Often referred to as ‘the sheep stick’. This item can be cast on an enemy to turn them into a harmless sheep or pig for 3.5 seconds. It also gives a large attribute and mana regeneration boost. Takes a second to cast before stunning opponents briefly while dealing a decent amount of damage. Lucent Beam can be used early on in the game to deny enemy characters from farming creeps in your lane. However, even with the short second it takes to cast, you will still have to predict where your opponent is going to be stood when the beam finally hits. A boomerang-like blade that jumps between enemies dealing less damage with each consecutive bounce. Moon Glaive is best used in team fights. Even though it doesn’t deal significant damage, it helps weaken several opponents at the same time. However, be mindful that enemies have to be within a 500 radius of each other for the glaive to bounce from one enemy to another. The Glaive can perform a maximum of six bounces when upgraded completely. In true Support hero fashion, Lunar Blessing grants allies nearby an attack damage bonus as well as an increased night-vision radius. How can we call Luna a support if she doesn’t have an ability that helps out fellow team-mates? Well, this is what Lunar Blessing is for. This aura ability covers a wide radius of 900, granting both Luna and teammates within it an attack damage bonus as well as increased night vision. Luna’s ultimate is enough to take down a couple of enemies with beams striking from above. Luna’s ultimate takes 0.6 seconds to cast and can fire up to 11 beams. However, the beams’ damage is directly related to Lucent Beam’s level, so make sure to upgrade that first to fully take advantage of Eclipse’s true potential. Luna is a great support character. With her Lunar Blessing and Moon Glaive abilities she can help her allies by both weakening the opposition and strengthening her surrounding team-mates. Not only that, but she can also take care of things herself when the situation arises with her Eclipse and Lucent Beam. An item that truly serves Luna’s role as a Support character. 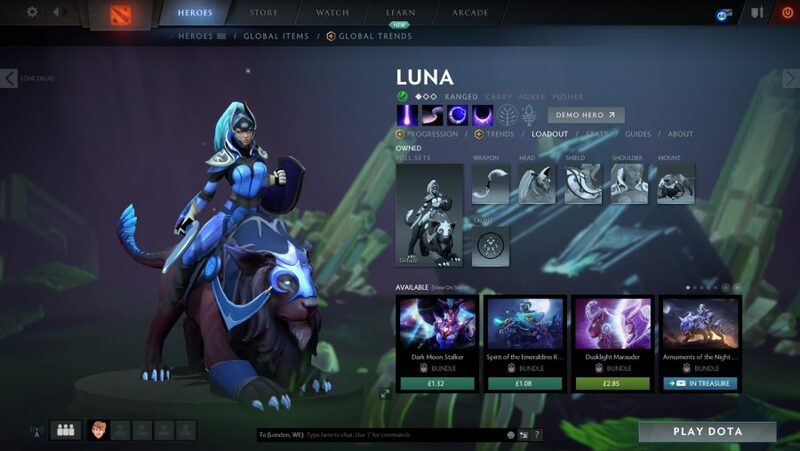 Not only does it grant Luna increased Agility, Strength, Intelligence, and Damage, it also increases her team-mates’ mana regeneration and armour within a 900 radius. Significantly increases Luna’s agility and, when activated, creates two images that lasts 20 seconds. Even though these images deal decreased damage and receive increased damage from enemies, they can be used strategically for decoys and ambushes. Adding two points across the board to Luna, it also enables you to control a creep (even enemy creeps). This can add some pretty powerful creeps to your side, especially if you choose one from the Jungle. Even though it’s a relatively expensive item, try your best to get it sooner rather than later. It grants Luna 200 HP points and 150 Mana on top of whatever she already has. It doesn’t stop there though; it considerably buffs Eclipse’s effectiveness by increasing the number of beams casted, the cast range, and the cast interval between every beam. While fairly weak, this can be useful for finishing off enemies or slowing them down. Try to hit as many of them as possible with it to get the most out of it. Encases an enemy unit in ice, prohibiting movement and attack, while dealing damage. Comparatively, this deals more damage than Crystal Nova and will hold an enemy in place, allowing your carry to finish them off. It can also be used to farm jungle creeps. This is so useful, especially in the early game when most heroes struggle for mana. It also means your team won’t have to purchase mana regeneration items. 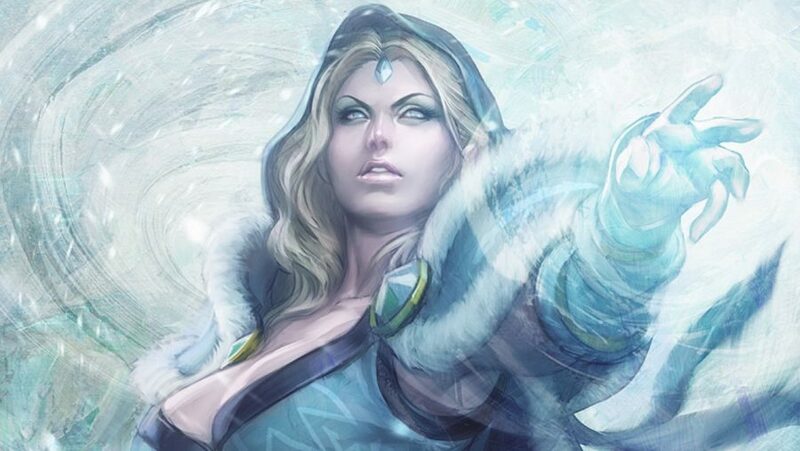 Surrounds Crystal Maiden with random icy explosions that slow enemies and deal massive damage. The sheer range and length of this ability can be enough to kill an entire enemy team. Moving or doing anything at all whilst channelling it will cancel it, so position yourself where the enemy can’t stun you. 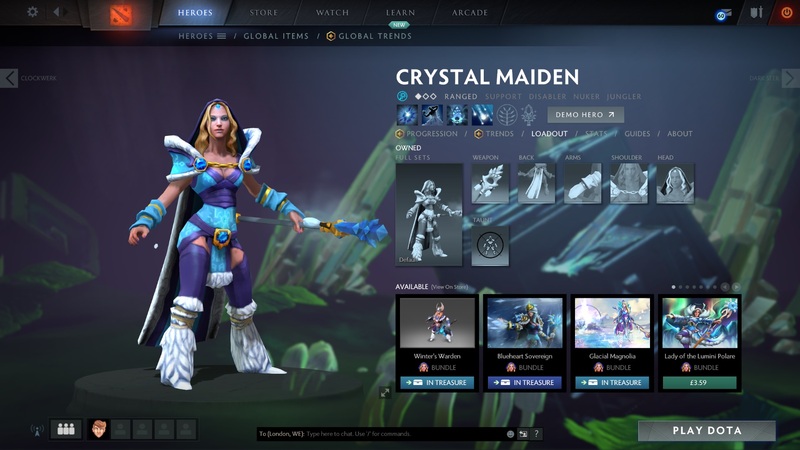 Crystal Maiden is an extremely versatile support who can comfortably be played as a pure support or as a frontline fighter. Always take Frostbite first as it will enable you to get early ganks on enemy heroes. Take Arcane Aura second to ensure that you can keep using Frostbite whenever you need to. After that, take a level in Crystal Nova and just use it to slow down enemies whilst levelling up Arcane Aura and Frostbite as they are much more useful. Take Freezing Field as soon as possible. It is one of the most powerful abilities in the entire game and most of your strategy will be based around choosing when and where to cast it. We’ve got the mana regeneration covered by your Arcane Aura and purchasing Tranquil Boots will take care the health side of things. If you are low on HP, simply stay out of the fight until these kick in. The Intelligence boost from Eul’s will increase your pool of mana and a little extra movement speed. Use it on yourself or an ally to make them temporarily invulnerable or on an enemy to move them. This item turns you invisible and can be used during your Freezing Field. If you keep getting killed whilst casting Freezing Field then this might be a cheap solution. Similarly, BKB will stop enemies from being able to stun you out of your Freezing Field. Unfortunately, it’s rather expensive and should only be purchased if you’ve managed to farm a lot. Purchasing this will enable your Freezing Field to auto-cast Frostbite on any enemy who lingers within it for too long. As you can probably imagine that’s a pretty powerful upgrade. Axe taunts nearby enemy units, forcing them to attack him, while he gains bonus armor. Use this to force enemies to attack you, allowing your allies to freely kill them while you tank the damage. Enrages an enemy unit, causing it to be slowed and take damage over time until it kills another unit or the duration ends. This can be used to finish off a fleeing foe, or to kill a particularly tanky jungle creep. When attacked, Axe performs a helix counter attack, dealing damage to all nearby enemies. The more enemies there are attacking you, the more often this ability will cast itself. When combined with Berserker’s Call it turns you into a swirling mass of death. Axe spots a weakness and strikes, instantly killing an enemy unit with low health, or dealing moderate damage otherwise. When an enemy hero is killed with Culling Blade, its cooldown is reset. Use this on any enemy with very low health to quickly finish them off and gain a movement speed bonus. Jungling is inadvisable for new players, but if you find yourself needing to jungle, Axe is by far the easiest hero to do it with. Always at the heart of the combat, Axe’s Counter Helix gets more useful the more enemies are attacking him. You ideally want to be as aggressive as possible, within reason. Level up Counter Helix to ensure you can quickly kill jungle creeps but take a level in both Berserker’s Call and Battle Hunger. At level 6 take Culling Blade but try to stay in the jungle until you have at least your boots and your Blink Dagger. At this point, use the Blink Dagger to teleport into a group of enemy heroes and then cast Berserker’s Call. Sit back and watch the destruction unfold. 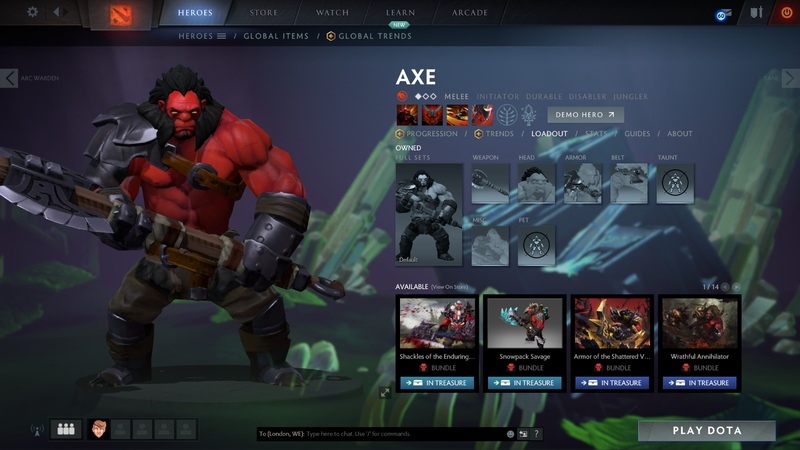 There is no point picking Axe unless you get this item. Use it to blink into fights and then follow it with Berserker’s Call to force enemies to fight you. This gives a great armor and damage boost, but its real use comes when you activate it, causing all physical enemy attacks to be reflected back onto them. Use it after casting Berserker’s Call. Vanguard gives you a flat boost to your HP and health regeneration, allowing you to survive your suicidal leaps into the crowds of enemies. Yet more armor and attack speed will allow you to survive longer and kill quicker. This also provides an aura, granting the same benefits to nearby allies. That’s your lot. If you really are new, it’s probably best for you to figure out which hero you want to try your hand at and then play a few bot games against the A.I. When you do decide to finally play with other people remember that your pick needs to synergise with your team. For example, if the team already has four carry heroes, pick a support. Similarly, don’t fill your team with weak support heroes and get pulverised in every team fight. But most importantly, remember to have fun, be friendly and cooperate with your teammates. Focus on expanding your repertoire of heroes and you’ll find that Dota 2 becomes an incredibly compelling experience when you can competently play over a hundred different heroes. Trying to out-pick your enemy before the game even begins is a big part of what makes the game so much fun. Good luck!